Armchair BEA: Keeping it fresh + Children & YA time. You know, I've been blogging for 16 months now and it felt never like it was a chore. I really enjoy writing down my thoughts and feelings about a book. It's even more fun if you get comments from other people. Those comments make me inspired to continue what I'm doing. I don't think I have much fresh material. I like to do two memes a week, I have my own feature and I write reviews. This works for me and I don't feel much pressure to come up with new things. I want to keep it easy and fun. If blogging starts to feel like something you HAVE to do, you are doing something wrong and you should try to find what it is. I like to believe that my followers return because of my reviews and comment love. I always like to reply to comments I get here and whenever I have the time, I will visit their blogs. My main goal is to visit at least 25 blogs every day. My reviews are a 100% my own thoughts and feelings. I think everybody has their own voice when they write a review and clearly I'm doing something right. As long as your posts has the real YOU in it, I think people will return to your blog. Today's genre is a big one, Children's Literature. From picture books to middle grade to young adult novels this is a category that encompasses books that young and old alike flock to on a daily basis. Despite the fact that I'm a bit older than most characters in YA, I find it fairly easy to connect with them. YA books aren't childish and you should never feel ashamed for reading them. There is so much more in these stories. You can find an escape in their fantasy worlds, you can befriend Dystopian characters when they are having a hard time and you can swoon because of the happily-ever-afters in fairytales. Always enjoy what you read, that's what reading is all about. 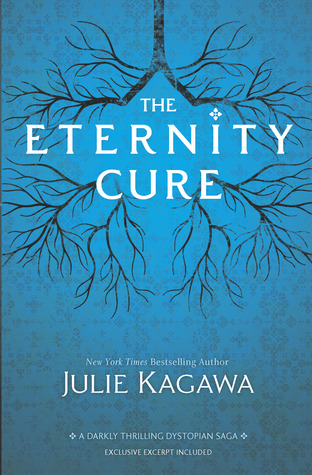 Julie Kagawa - The eternity cure. E.D Baker - The wide-awake princess. I completely forgot to mention MG. I grew up with books. My parents have given me many opportunities to read and I'm still happy that I got the chance to discover my likes and dislikes. They've always supported my love for reading and they helped me to start the beautiful collection I have now a days. I like to pick up a MG now and then (are most of the MG covers not gorgeous?) I really liked Lauren Oliver's Liesl and Po, to give an example. PS: Come take a look! I'm featured on Lola's reviews. I like replying to my comments as well, as you never know if thry will check back. And I comment back on their blog to show my thanks for visiting. I really liked The Eternity Cure as well! "As long as your posts has the real YOU in it, I think people will return to your blog"
That's it in a nutshell I think. It also makes it much harder to get bored or stuck in a rut if you're being yourself. You said it right - if the real YOU is there, people will keep coming back. The Wide-Awake Princess looks adorable! It is! Such a cute story. I agree 100% with your comment that it is important to be you in one's blog posts. Excellent advice on keeping it real. Totally agree about how it's important to be you in your blog! Your unique voice is what makes you stand out among everyone else. I loved The Immortal Rules but The Eternity Cure, not so much. I definitely believe blogging can feel like a chore at times but that's usually when I step away a day or two to refocus. Great advice though. Oh, I'm sorry to hear that! I liked what you said about YA books not being childish. They certainly aren't! I wish more people would realize that! I do agree blogging can be a chore, but fortunately it's one chore I don't mind doing, LOL. There are some days where I don't feel it, but I definitely don't stress myself over it. It is what is and I do what I can. But I agree with commenting. I try so hard to comment on other blogs and I don't do it nearly as much as I'd like to! Me neither. It's something I really enjoy. Look forward to your reviews, especially for The Eternity Cure. and usually they've pre-judged the genre, without having the broad-mindedness to give it a try. HAHA, really? I almost thought it was a joke. How can someone be so.. ignorant and arrogant? It's hilarious that this link has "room for debate" in it, since he is very sure about his pathetic opinion :p Reading is not for learning.. if I want to learn, I will read my study books 24 hours are day. This comment made my day! :D I'm still smiling. It's always good to hear that my "work" for my blog is appreciated. I agree, people come back for the voice behind the reviews, and the blogger behind the blog as well. It's so important to show a little of yourself! And I really loved Poison as well!! Fred was such a great guy and Rosie SO CUTE! I've got to go check out armchair BEA. It just came up so fast and life is super crazy for me right now. I just haven't worked it in. Next year it will be on my calendar. There are so many good books out there! I think one of the reasons YA is so great is because the characters aren't stagnant - they're figuring out who they are, what they will fight for, and their future is still ahead of them. A lot of the time in adult fiction the characters have already arrived, if you know what I mean. 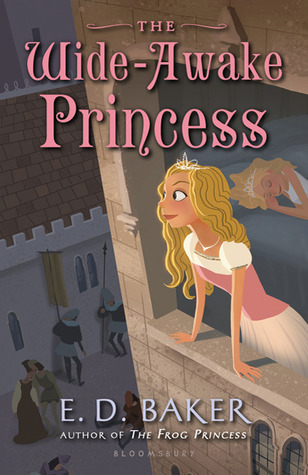 I have Poison and Wide-Awake Princess and still need to read them. I'm glad you liked them. Hopefully I'll get to them soon! I am about to read Poison! Love that you try to comment on 25 blogs a day-I've gotten so much better at commenting and it's really improved my blogging experience and made everyone seem so much less intimidating. I love your honest reviews-I really dislike blogs that only give 4 or 5 stars as I suspect they're not being totally honest. Review 169. Amy Tintera – Reboot. Review 168. E.D Baker – The wide-awake princess. Review 167. Liz Coley – Pretty girl thirteen. 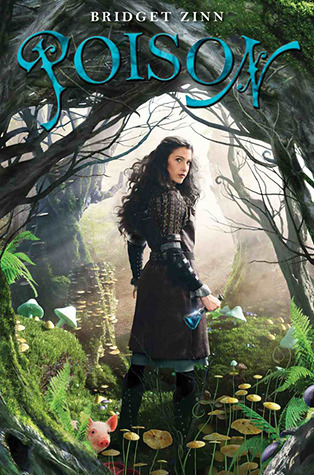 Fairytale News | Review Kobo Glo. Review 166. Nancy Holder – The rose bride. Review 165. Julie Kagawa – The eternity cure. Fairytale news | Jealousy and hauls. Review 163. Bridget Zinn – Poison.